How to Train Your Dragon came out in 2010 and developed a world that brought so many characters to life in a beautiful way. This world follows Hiccup who lives in a world at war with dragons. There is also his father, Stoick the Vast, who is the best dragon hunter in all of Berk and also the chief of Berk. Hiccup wants to be the man his father wants him to be and tries to hunt a dragon, but he finds he cannot do it because he cannot kill a dragon. Hiccup eventually finds the dragon he tried to kill and befriends him. He learns about the dragons in hope of changing the mind of his fellow Vikings. 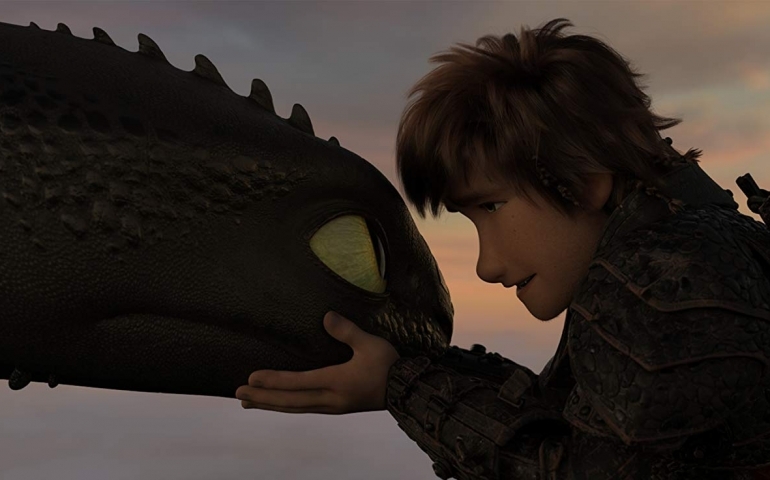 The bond created between Hiccup and Toothless is like one I have never seen before in any movie. Toothless is a “night fury” and very well the last of his kind, at least that’s is what is thought up until the latest installment in the movie franchise. At the end of How to Train Your Dragon 2, there are three important scenes to note before jumping into How to Train Your Dragon 3: Stoick died saving Hiccup from Toothless when Toothless has his mind taken over and is ordered to kill Hiccup; Hiccup, who grew up believing his mother was killed by dragons, finds his mother and she comes home with him back to Berk; finally, Toothless defeats an alpha dragon that was attempting to kill Hiccup and destroy Berk along with him. In defeating the alpha, Toothless becomes the new alpha and king of dragons. All of the movies are cinematic masterpieces– they are beautiful movies with some of the best animation cinematography in all of DreamWorks. The first two are phenomenal in every way; however, the third one has its flaws, and its plot is not the best, but the conclusion makes up for the faults in the movie. The conclusion is worth every moment, and this movie series has some of the best relationships built throughout the series. If not for that reason, these movies are worth watching. If you have seen the first two movies and care about the relationships between Hiccup, Astrid, Toothless, Ruffnut, Snotlout and the rest of them, this movie is a much-watch simply to see how their stories end and exactly what happens for the future of Berk. Kevin Stark is a freshman Mass Communications major from Oklahoma City, this is his first year working for the Echo. He enjoys playing all sports and loves competition. Kevin’s goal for the future is to expand his skills in writing and photography to become a great photojournalist.